Do not despair, help is on the way! 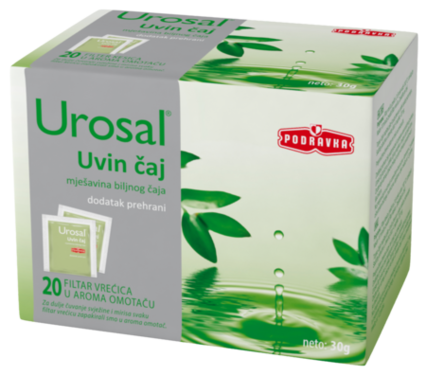 Carefully grown and picked, even more carefully combined, bearberry leaf, green gold coins, birch leaf and green nettle have joined their forces to help you reduce urinary tract discomforts. Every filter bag is in an aroma envelope thus preservin freshness. The drink has a distinctive herbal flavour, ready in only 10 minutes. Nature power is by your side - do not despair! Preparation: Pour the filter bag with 2 dl of hot water and cover. After 10 minutes remove the filter bag. Sweet to taste.